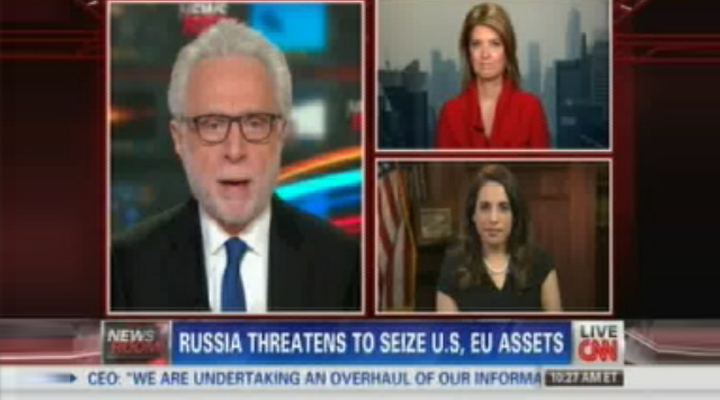 Monica joined CNN’s Wolf Blitzer and Christine Romans to discuss the impact of rising geopolitical tension to your portfolio. Investors may see oil/natural gas and grain prices rise. Multinationals that sell a lot to Russia (Pepsi) or have considerable interests (BP, Shell, Exxon Mobil) may also take a hit. Also, we could see greater pull back from other emerging markets (thailand, argentina, turkey) which have been underperforming prior to unrest in ukraine and could now feel like even riskier plays. Safety plays like gold, US blue chips will benefit should instability continue.